Carlyle Dental offers treatment for snoring and sleep apnea to residents living in Kinston, Goldsboro, Greenville and the surrounding areas of North Carolina. 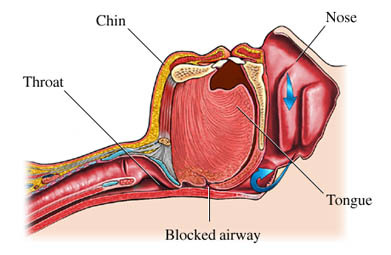 Sleep apnea is a dangerous form of snoring that affects millions of people. Individuals with sleep apnea experience shallow breath and can even stop breathing during their sleep. Many people don’t realize they suffer from apnea since it occurs while sleeping. 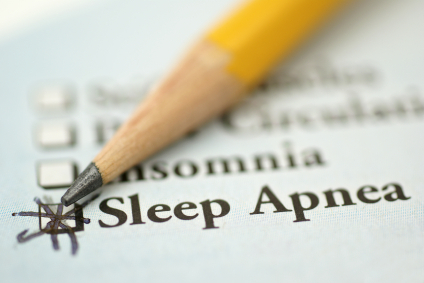 Over 12 million people in the U.S. are said to have sleep apnea. In fact, these figures estimate one in 25 middle-aged men and one in 50 middle-aged women live with sleep apnea. Common sleep apnea symptoms include: fatigue, dry mouth or sore throat upon awakening, headaches, trouble concentrating, forgetfulness, depression or irritability, restlessness during sleep, snoring, sensation, gasping or choking and difficulty getting up in the morning. An article published in March 2008 stated that people who snored loudly, had 40% greater odds of experiencing hypertension, and possible heart attack, than those individuals resting peacefully. A 67% increase in strokes was also reported and differs from those that didn’t snore. People that are overweight, smoke, have high blood pressure, or are at risk of heart failure are more likely to suffer from sleep apnea. When sleep apnea occurs, the tongue is drawn against the back of the throat and blocks the upper airway, stopping air flow. The oxygen level in the brain then becomes very low, and the person awakens. Usually, someone with sleep apnea will snore heavily and then stop breathing altogether. Their bed partners often suffer while hearing them snore. The individual struggles to breathe, followed by an attempt to inhale. At times frightening, the gasping or choking sound is common. Insomnia, or interrupted sleep patterns. Excessively loud snoring, including snorting or choking sounds. Sleepiness during the day, or acute fatigue. Headaches or shortness of breath upon waking. Continuous Positive Air Pressure (CPAP):Placing a mask over the nose during sleep helps open up the airways. Surgery: Moving the upper and lower jaw forward, removing part of the soft palate and loosening tissues in the throat, and movement of the tongue muscle. Oral Appliance Therapy (Most Popular): Wearing a sports guard or orthodontic-like appliances during sleep. This is the most frequently recommended oral appliance therapy. How much does Treatment Cost for Snoring and Sleep Apnea at Carlyle Dental? The cost for treatment of snoring and sleep apnea varies depending on the extent of treatment necessary. We accept cash, MasterCard, Visa, and personal checks. Insurance is accepted, and we also offer financing through CareCredit® and Compassionate Healthcare Services®. Can I use my Medical Insurance if I Don’t have Dental Insurance? Yes, in many cases you can use your medical insurance to cover the cost of treatment for snoring and sleep apnea. Dr. Carlyle is one of the only dentists in North Carolina to work with medical insurance companies. If you don’t have dental insurance it is possible we can work with your medical insurance to get your costs covered. Why Choose Carlyle Dental for Sleep Apnea? Carlyle Dental offers a wide range of services, including Family Dentistry, Sedation Dentistry, Cosmetic Dentistry, Preventative Dentistry, Orthodontics and Restorative Dentistry. Regardless of your dental needs, Carlyle Dental provides a full range of treatments without stress or anxiety. With financing and multiple payment options available, Carlyle Dental is ready and willing to work with you. We offer cutting-edge technology in all of our dental treatments. Most importantly, Carlyle Dental cares about its patients. We strive to create a welcoming atmosphere and a pleasant experience for our clients. Set up a consultation at Carlyle Dental today by calling 252-624-9698. Openings book quickly, so call or schedule an appointment by filling out Carlyle’s convenient online form as early as possible. Carlyle Dental is the first choice in dental care for residents living in Kinston, Goldsboro, Greenville, and the surrounding areas of North Carolina.